Fexopen-180 is marketed globally by Oasis Pharma and is available at every leading online pharmacy, drugstore and medical supply store. 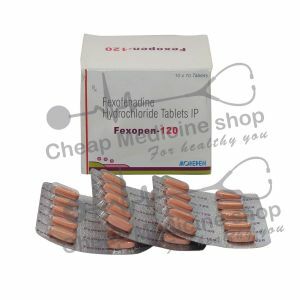 The active ingredient present in Fexopen-180 is Fexofenadine Hydrochloride. Fexofenadine Hydrochloride is an antihistamine used to relieve allergy symptoms like watery eyes, runny nose, itching eyes/nose, sneezing, hives, and itching. Fexopen-180, that contains 180 mg of Fexofenadine hydrochloride, is manufactured by Oasis Pharma. It is mainly marketed and supplied by the company and its associates in India. It is available at every leading online pharmacy, drugstore and medical supply store. 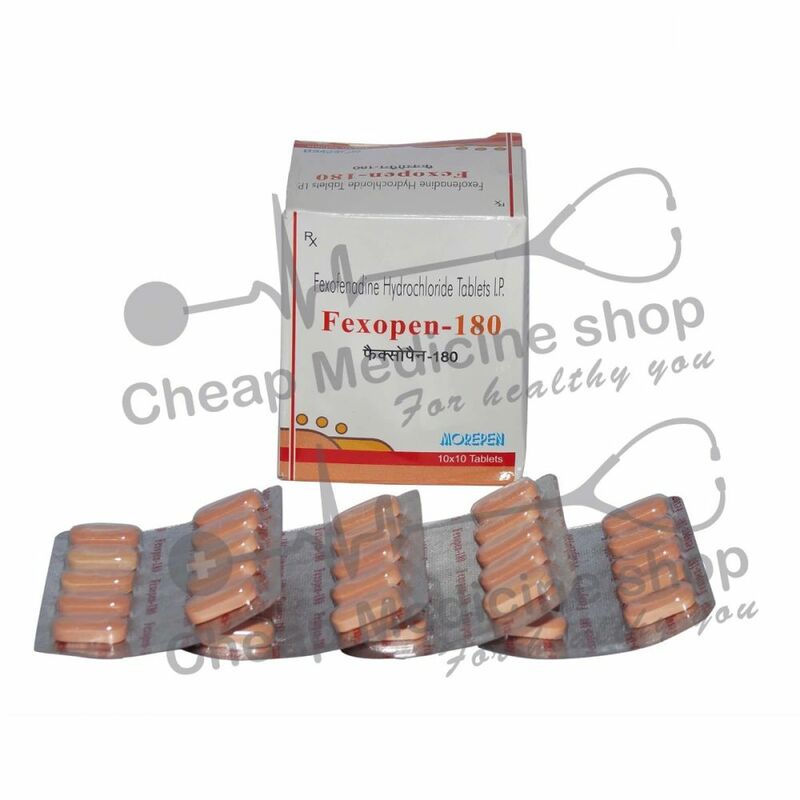 Fexopen-180 contains 180 mg of Fexofenadine hydrochloride. Fexofenadine, which is an active metabolite of terfenadine, competes with histamine for H1-receptor sites in the gastrointestinal tract, blood vessels and the respiratory tract and blocks it thus preventing the symptoms associated with allergies from occurring. It very rarely causes sedation. Take this drug with food if it causes an upset stomach. Do not take antacids that have magnesium or aluminum at the same time as this drug. Fexofenadine, the salt in Fexopen-180, is available as 60 mg, 120 mg and 180 mg tablets at every leading online pharmacy, drugstore and medical supply store. A more specific dose for your condition will be directed by your doctor. This drug is a need-to-basis drug. It is always advisable to consult your physician before you start/stop taking the drug. Avoid taking such decisions on your own and do not self-medicate. A missed dose should be taken as soon as you remember it. However, if it is almost time for the next dose, skip the missed dose and go back to your regular schedule. Do not take multiple doses at the same time. Do not take Fexopen-180 if you have an allergy to Fexofenadine or any other ingredients of this drug. Allergic signs like rash; itching; red, swollen, blistered, or peeling skin with or without fever; wheezing; tightness in the chest or throat; difficulty in breathing or talking; unusual hoarseness; or swelling of the mouth, face, lips, tongue, or throat. Patients with renal impairment should use this drug with caution. Do not drink alcohol while you are using this drug. Do not take any other sedatives.